Brian Cuban was living a lie. With a famous last name and a successful career as a lawyer, Brian was able to hide his clinical depression and alcohol and cocaine addictions-for a while. Today, as an inspirational speaker in long-term recovery, Brian looks back on his journey with honesty, compassion, and even humor as he reflects both on what he has learned about himself and his career choice and how the legal profession enables addiction. His demons, which date to his childhood, controlled him through failed marriages and stays in a psychiatric facility, until they brought him to the brink of suicide. That was his wake-up call. This is his story. Brian also takes an in-depth look at why there is such a high percentage of problematic alcohol use and other mental health issues in the legal profession. What types of therapies work? Are 12-step programs the only answer? Brian also includes interviews with experts on the subject as well as others in the profession who are now in recovery. 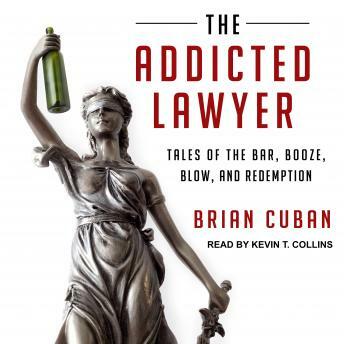 The Addicted Lawyer is both a serious study of addiction and a compelling story of redemption.